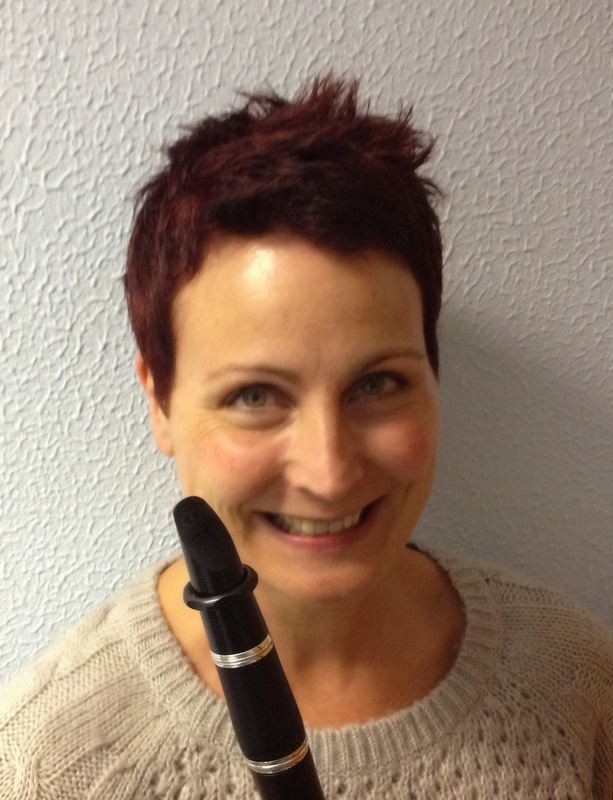 Anne Laney is the Soloist for our Concert on 8th November, playing the Clarinet Concerto by Martin Ellerby. Anne was lucky to be part of an “experiment in post grade eight teaching” scheme in Reading during the early 1980’s which operated on a Saturday morning at Mockbegger House. There, under the specialist tutition of Robert Roscoe, she developed her playing and had the opportunity to explore ensemble performance to a high standard in a master class environment. Elements of aural and theory teaching were included and the whole experience, together with her time in Reading Youth Orchestra, remains the highlight of her musical education. After finishing her degree in general music at Kingston Polytechnic, Anne continued to perform with orchestras local to where she was living, while working within the social care environment and this is pretty much as things are now! Different employers, different musical groups but the same pattern. She currently plays regularly with Windsor and Maidenhead Orchestra and Beenham Wind Orchestra and is very excited by the opportunity to perform the Martin Ellerby Concerto with Beenham. Thanks everyone!